Just as easy as can be! Fill a glass with water and add a thin layer of foam shaving cream. It will expand after you squirt it in and it will take a little bit of time for the food coloring to soak through. 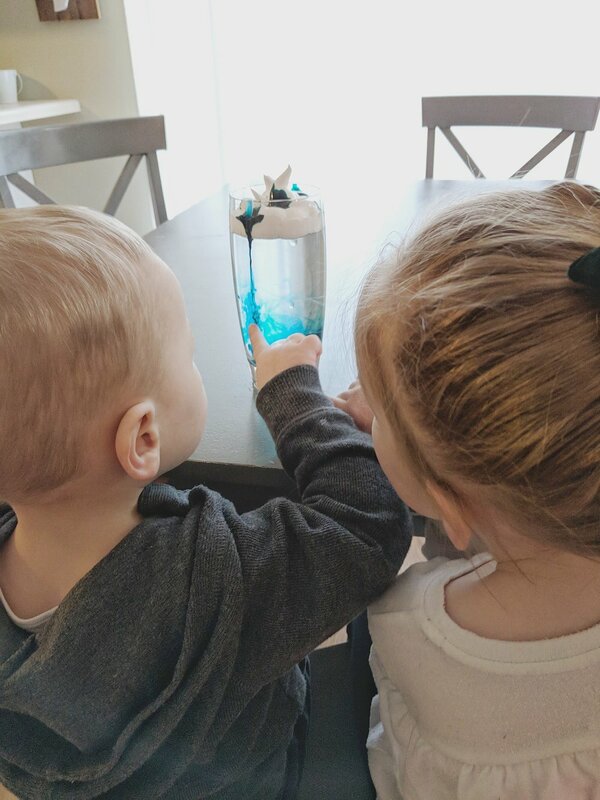 Finally, drop food coloring in (mostly around the edges of the glass) and wait for it to fall into the water. It really looks like a rain cloud and the kids loved watching it swirl around! I always love to add a story to our activities, and The Big Umbrella was perfect! 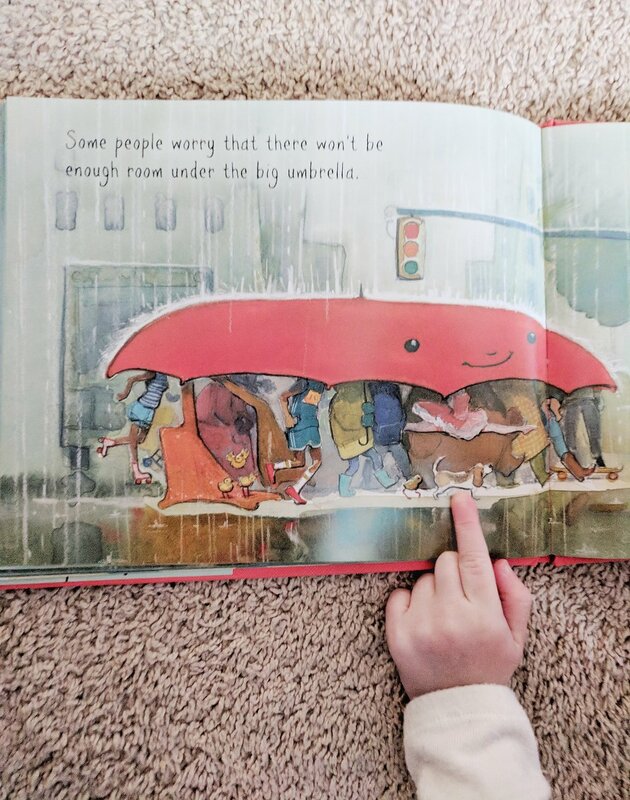 We recently got The Big Umbrella, by Amy June Bates and it was an instant favorite. It is very simple with beautiful illustrations. It more importantly shares the importance of inclusion, a lesson we are hoping to instill in both of our kids! We are hoping Spring decides to show up soon! The activity and story will be a staple for this next season, we hope you try it!